When you’re in Venice, you never want to leave, be it for home, for another city on your itinerary, or for a day trip. It’s simply hard to tear yourself away from the sumptuous lure of La Serenissima. But unless you’re prepared to settle in for good (lucky you! ), sooner or later you will have to head back to the mainland, and fortunately nearby, there is something lovely enough to soothe the pain of your departure. Just a short distance from Venice, the pretty city of Vicenza is surrounded by dozens of stately villas dotting the countryside, with elegant Classical lines and sweeping manicured gardens. These are known as the Palladian Villas, after the architect Andrea Palladio, who designed this group of patrician residences in the first half of the 16th century for a number of wealthy families from the Venetian Republic. 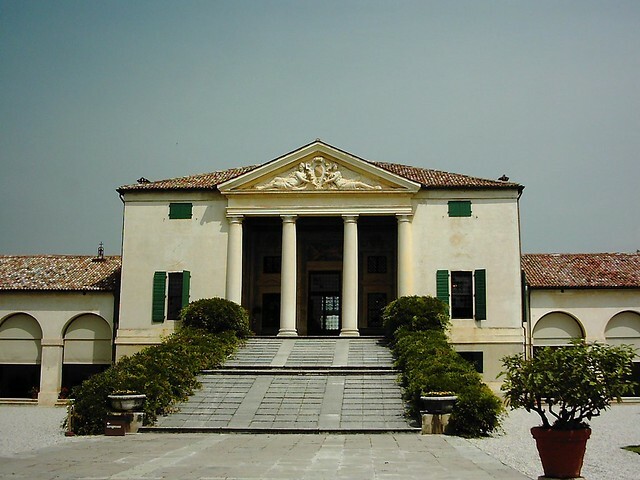 The villas have been recognized as a UNESCO World Heritage Site since 1994 (more villas were added to the Palladian Villas of the Veneto registry in 1996), and most can be visited fully or in part (some villas only allow access to the external gardens). The best way to fit in a few stops in one day is to organize a private tour with a guide who is able to select the best examples from this vast group of villas and explain why Palladio’s style and scale were so revolutionary and, ultimately, influential. Francesca described her perfect Palladian day. I would begin the day at Villa La Rotonda, which is an example of Palladio’s gift for blending his architectural style with the surrounding landscape. Here we see how the two overlap, with natural elements influencing the villa and the villa which dominates a hilltop overlooking the landscape. This villa, officially known as Villa Almerico Capra, is also innovative as a private residence because of Palladio’s design featuring four identical facades topped by a cupola (hence the nickname “La Rotonda”). The overall look calls to mind a Classical temple, which was not by chance: Palladio often matched the scale and style of his villas with the wealth and social status of the commissioning family, and in this case the villa was owned by an important prelate. 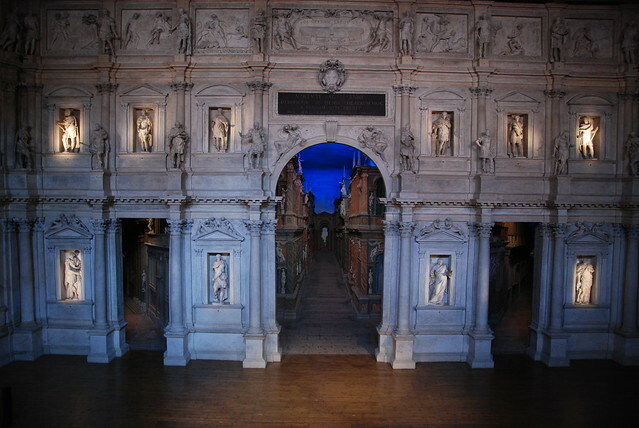 Afterwards, I would return to the center of Vicenza to stop in at Palladio’s famous Teatro Olimpico, designed by Palladio though completed after his death. One of only three Renaissance theaters still standing in Italy, the Olimpico still has its original stage set from 1585 and is considered one of Palladio’s masterworks. After a leisurely walk through the center of Vicenza and lunch, I would dedicate the afternoon to two villas just north of Vicenza: the first, Villa Caldogno, was designed by Palladio for the Caldogno family, one of the most prestigious in the 1500s, and conserves original frescoes by Giovanni Antonio Fasolo, an artist influenced by Veronese who often collaborated with Palladio. I would finish at Villa Godi Malinverni, Palladio’s first villa, which is decorated with gorgeous frescoes by Giambattista Zelotti (a contemporary and admirer of Veronese) and others. This is a perfect example of how the culture of Veneto villas developed in the 16th century and of the style and decor of these Renaissance country retreats built by Palladio for the most wealthy families of the Venetian Republic. Pierangela then shared her favorite Palladian properties. I like to start with Villa Emo in Fanzolo di Vedelago, Palladio’s work here contains a breathtaking fresco cycle by Giambattista Zelotti, who collaborated with Veronese, and then move on to another of the most famous of his residences, Villa Barbaro in Maser, decorated with frescoes by the master Paolo Veronese, himself. These villas are located near each other in the Veneto foothills: Villa Emo is near Castelfranco Veneta, a lovely Medieval walled town, birthplace of the painter Giorgione. It’s always nice to take a walk through the center of town and visit both the artist’s home and the Duomo, where his famed altarpiece painted for the Costanza family is displayed. Villa Barbaro is just a few minute's drive away near Asolo, an area famous for its Prosecco production; the villa has a wine bar open to the public where visitors can taste vintages produced by the villa’s estate. 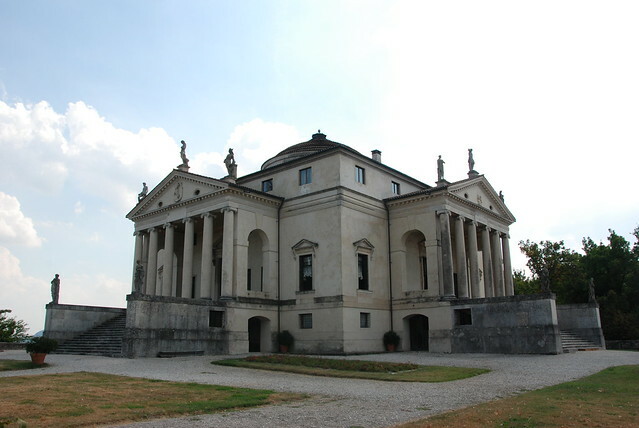 In the afternoon, I would dedicate a few hours to Palladio’s most famous villa, “La Rotonda”, just outside of Vicenza. The villa itself is only open to the public on Wednesday and Saturday; the remaining days of the week only the garden is accessible. 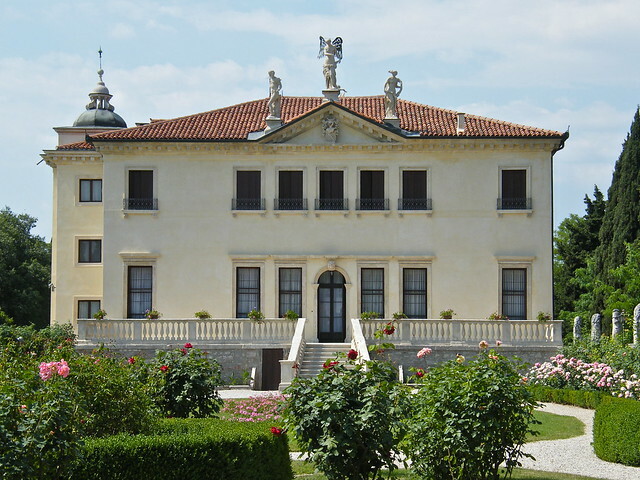 On the same estate, the Villa Valmarana ai Nani, by another Renaissance architect, Francesco Muttoni, is home to an important fresco cycle by Giovanni Battista Tiepolo, the most important artist of the Venetian Rococo. 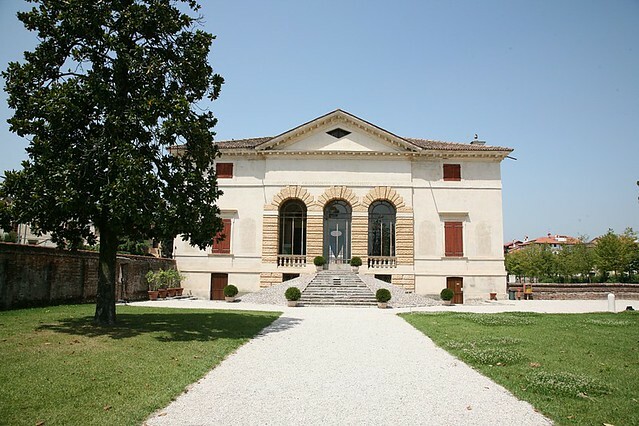 This villa was built in the century after Palladio’s death, and is an important example of the lasting influence the Palladian style had on the Veneto’s villas through the Renaissance and beyond.